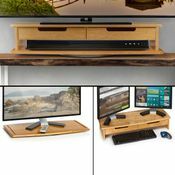 Prosumer’s Choice Extra-Long Natural Bamboo Monitor/TV Swivel Stand and Riser with Removable Base and Dual Pull-out Drawers combines three practical products in one elegant home and office solution. 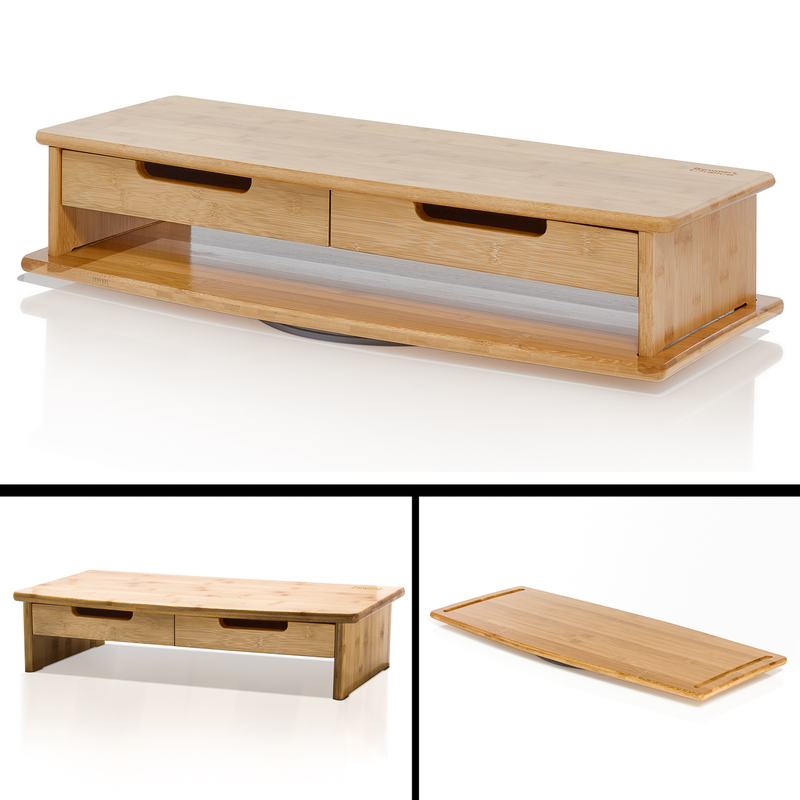 This multipurpose rotating stand with a luxurious finish measures 30 inches in length and functions as a TV/monitor riser, media center and desk organizer. 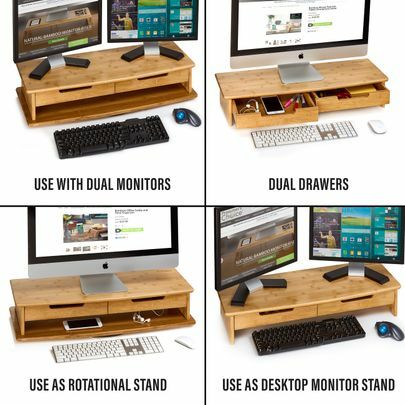 There are two pull-out drawers to store remote controls, batteries, tablets, Smartphones, gaming controllers and other knickknacks that always seem to create clutter around your workspace. It even includes a cubby area to house game consoles, compact cable boxes, slimline DVD/Blu-ray players and keyboards. 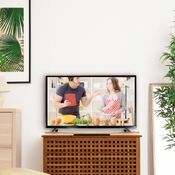 Made of sturdy bamboo that resists damage better than traditional pressed wood, this solidly-built swivel stand supports even heavy TVs/monitors. 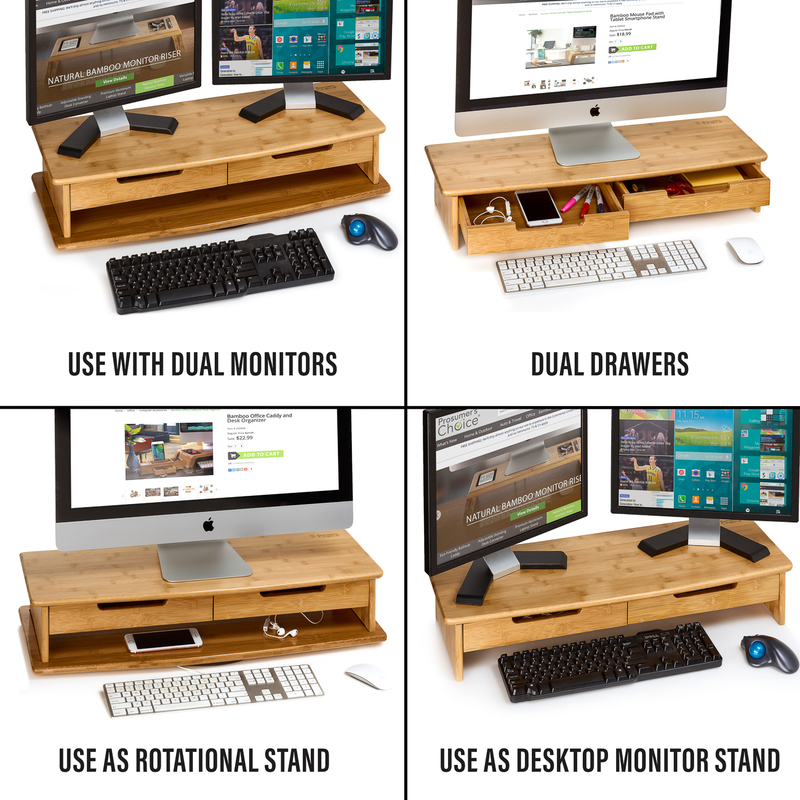 The extra-long design provides enough room for dual monitors to increase your efficiency. 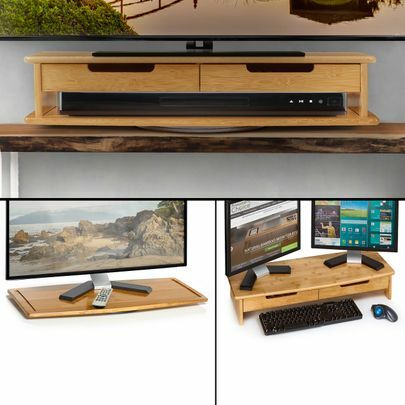 This space-saving entertainment shelf is an ideal accessory for your living room, TV room, man cave, media room, office, dorm room or RV. The stand features 100% bamboo construction with a smooth, sanded surface. 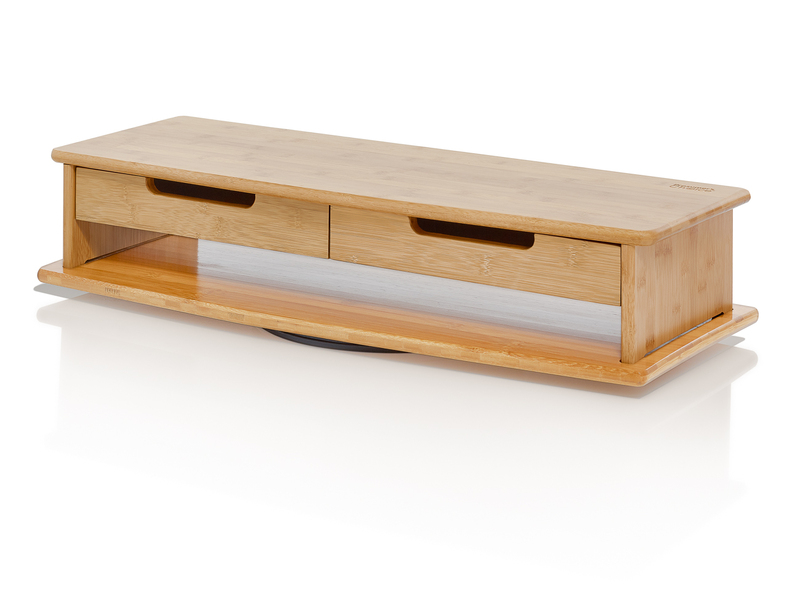 Our sustainable bamboo materials come from responsibly managed plantations that are harvested per forestry standards. The natural vertical-grain finish adds a stylish touch to complement your décor. 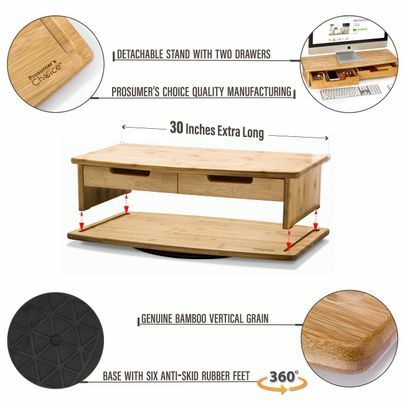 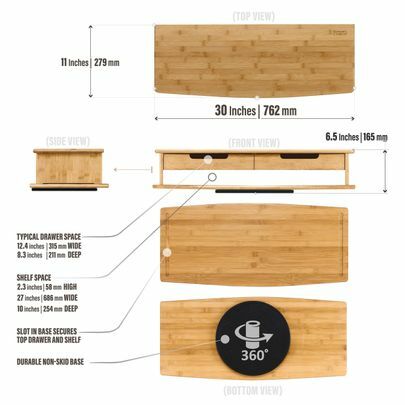 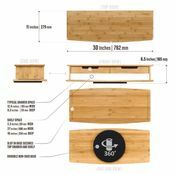 Preassembled with no installation or tools required, this versatile 360° stand is perfect for desks, credenzas, counters and other surfaces. 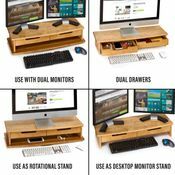 This stand will help you finally organize your media center or work station.